The Humane Society of Charlotte believes in working to improve our community by creating new, loving families, and building a world where there are no more homeless and unwanted animals. This is an ongoing process — for every animal we can connect with a new family, another animal in need comes to HSC’s shelter. That’s why, as a private, 501(c)(3) nonprofit, the HSC relies on the generous support of animal-loving individuals in our community to fund our work, along with low-cost fees for adoption, spay/neuter, and wellness services. We believe people will make good decisions for animals when they are treated with kindness and understanding, and when they have enough information and resources. The Humane Society of Charlotte was founded in 1978. The first shelter was located on Commonwealth Avenue (1979-1980). The third and present shelter is located at 2700 Toomey Avenue, the former Charlotte/Mecklenburg Animal Shelter. The Humane Society of Charlotte Spay/Neuter Clinic opened in 1982 and was the first low-cost spay/neuter clinic in the Southeast. The Humane Society of Charlotte receives an annual audit from C. Dewitt Foard & Co. Please see below for the latest 990s. Privacy and personal information security are very important to us and the Humane Society of Charlotte fully respects the privacy of our adopters, donors, and volunteers. If you utilize our adoption or spay/neuter services, your name and address will be placed on our mailing list. We may use this information collected to circulate news about the Humane Society of Charlotte and its programs to promote events and to acquire new supporters. Your information may also be shared with other reputable companies that shelter partners that may want to contact you with offers. If you have any questions about our policy, do not wish to receive physical mail from us or not have your name shared with third parties, you may call us at any time at 704-494-7704, or e-mail us at info@humanecharlotte.org. 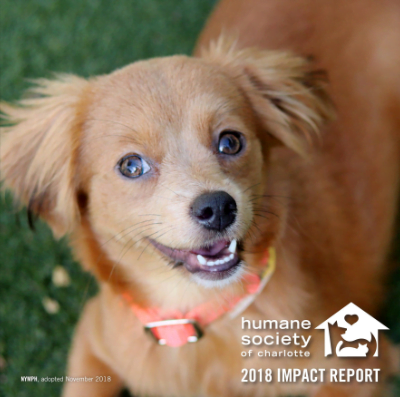 The Humane Society of Charlotte operates and maintains its social media sites as a public service to provide information about our programs, services, projects, issues, events, and activities. 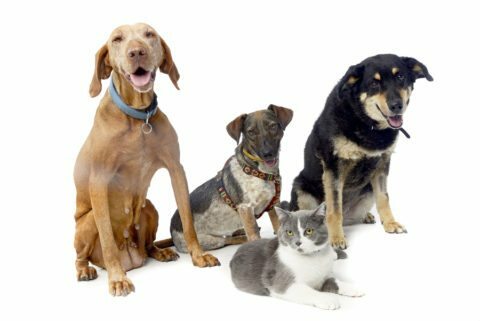 We welcome participation in the Humane Society of Charlotte’s various social media pages, and we hope you will participate in our online community. We reserve the right to remove postings or comments that we believe are inappropriate for whatever reason including offensive or inappropriate in nature, misleading or irrelevant information, bullying and personal attacks, support of individuals or organizations which promote animal cruelty, promotion of violent or illegal activities, and spam or commercial sales. Continued violation of our policies will result in users being removed or banned.